hd00:24Time lapse: Aerial city view during dawn overlooking the city skyline with green fields from night to day at sunrise. Zoom out motion timelapse. Prores Full HD 1080p. 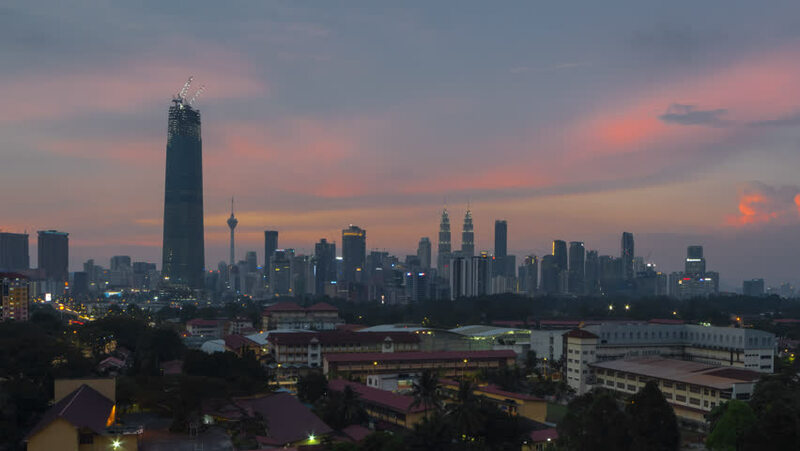 4k00:29Time lapse: Kuala Lumpur city view during dusk overlooking the city skyline. 4K resolution. Zoom in motion timelapse. hd00:24Time lapse: Aerial city view during dawn overlooking the Kuala Lumpur city skyline with green fields from night to day at sunrise. Federal Territory, Malaysia. Pan up motion timelapse.